BRIGHTY K is a liquid fertilizer supplying potassium to planted aquariums. 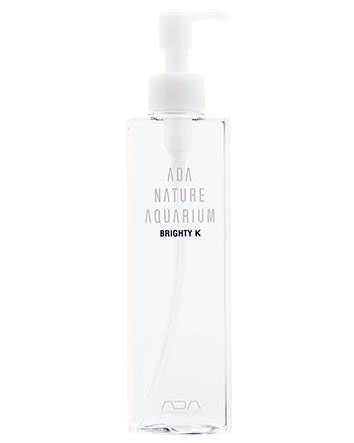 BRIGHTY K also has an effect of enhancing the buffering capacity of water and prevents a decline in pH of aquarium water. *This product does not remove residual chlorine.